There are plenty of reasons why travelling by train is the way forward. Saves on the cost of running a car: no insurance, road tax or maintenance costs needed! Traffic driving you mad? Long queues of cars will be a thing of the past. You can work, look at your phone and/or read on the train, saving time for when you reach your destination. It is more environmentally friendly than using a fossil-fuelled car or taxi. Electric trains are less noisy than conventional cars. You don’t have to concentrate on the road. No airport transfers or security checks (except for Eurostar). You can admire the view; a train ride can be a destination in itself. For rail journey inspiration in the UK, see here. Travelling by train uses less energy and generates lower emissions than going by air. The nearest train station is Leuchars, located approximately six miles North of St Andrews. It is also within cycling distance of St Andrews, with an off-road cycle path going all the way from the Old Course Hotel, St Andrews to the station. The station is well connected to local bus services, there is a park-and-ride carpark and bicycle storage. More information about the station facilities at Leuchars can be found here. Other nearby stations include Cupar (9.6 miles) and Dundee (13.1 miles). Did you know that you can take your bike on the train for free? A bike pass is easily reserved on the individual train websites e.g. Virgin Trains, Scotrail, and more. This is the hub for all rail services in the UK, with online times, tickets and fares, live departure boards, and information on special offers. Please see their website for more information. The sleeper train is booked through Scotrail directly, with two trains typically running in each direction overnight between London and Leuchars. Prices start at £22 for a single with a railcard, and you can book up to a year in advance. More information can be found here. Bike & Go is a new bike hire scheme that lets you quickly and easily complete your train journey by bike. Bikes are available to hire across the following stations: Aberdeen, Dundee, Edinburgh Haymarket, Falkirk High, Glasgow Central, Inverness, Kilmarnock, Largs, Linlithgow, Perth and Stirling. However, this scheme is being updated all the time. You can find out more information by visiting their website. A local campaign group, aiming to re-instate a railway station in St Andrews. You can find out more about the campaign on their Facebook page and website. The earlier you book the cheaper it will be. Try to plan ahead. Tickets are usually available to purchase 12 weeks in advance. Using a railcard will save you lots of money! Owning a railcard will typically save you 1/3 off the full price, even on last-minute journeys. Whether you’re a student, a senior citizen, disabled, a parent, and more, this website has the deal for you! It is well worth the investment. Shop around. There are many different sites offering cheaper fares. Qjump and Raileasy are just a few. Buying a return ticket is often much, much cheaper than buying two singles. Be sure to check out the different ticket types before you pay. Asking at the train ticket office about the different options could save you a substantial amount of money! Taking a holiday? Why not consider travelling by train? As you sit back in your seat, watch the stunning scenery go past. A comprehensive travel information website giving train and ferry information for Europe and worldwide. A fantastic starting point for organising your next adventure! Seat61 basically covers everything you need to know, but below are a few good websites to check out with our recommendations for particular countries. 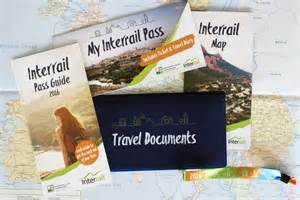 Have the ultimate adventure and explore Europe by train on an Interail pass! You can travel within thirty countries on one pass. See their website for further details. Travel high-speed from London to Paris, Brussels, Disneyland Paris, Lyon, and more! It is recommended as the best option for bookings between the UK and Belgium or the Netherlands. See their website for further details. Your mobility portal for travel in Germany and between Germany and neighbouring countries. You can also book Eurostar tickets (London-Germany for 60 Euros!) and is the best option for trips from the UK to Germany, Austria, Denmark, Poland and the Czech Republic. Visit SNCF when booking train tickets from the UK to France, Switzerland, Italy or Spain. You can also book Eurostar through their website. Visit the Virgin, Scotrail and Arriva Trains Wales websites, where they offer ‘SailRail’ (combined train and boat) tickets to Ireland and Northern Ireland.